The summer solstice has arrived, and the fiery heat of this sunny season has everyone in motion. Unlike the cold dark days of winter, when summer comes everyone seems to be out and about. The long, golden hours of daylight stretch into the evenings and we feel on top of the world, as if we are capable of anything. During this time of abundance and fertile growth, the seeds and dreams planted during the darkness of winter come to life and spring into action. We may feel like we have more energy than at other times, and many of us are drawn to participate in exciting and productive activities. We make time for adventures, we fill our calendars with fun in the sun, we finish projects, we dive into work with renewed vigor. We travel to exotic places, and hit the beaches or the clubs. We dance, frolic, create, and celebrate. Yet with all this brightness, it is easy to forget there is a shadow side to summer. Summer is also a season of sunburn. Of quick flings and hotheaded choices. Summer can be deceptive because in its abundance lies temptation. With all this energy and light available to us, it’s easy to cross over from carefree fun into carelessness. Without the quiet restful spaces of winter to turn inward and reflect, honoring our needs and inner wisdom, summer can easily become a time when we forget to be mindful of balancing our energy. With so much abundance around us, why should we use caution? 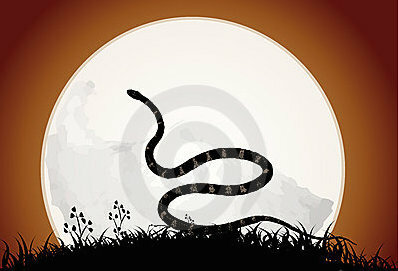 The Serpent’s medicine has many lessons to offer us at this time. 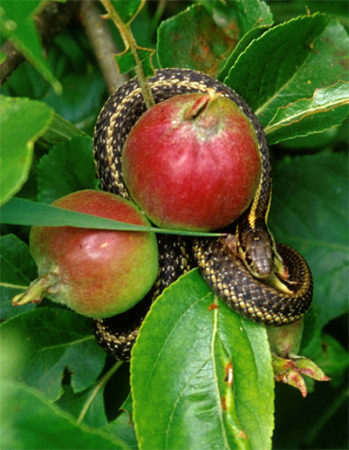 The Serpents remind us that summertime is also a good time to stop, be still, and rest. 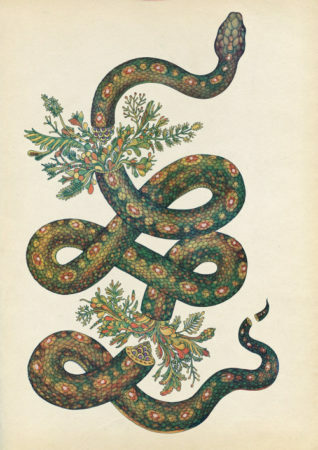 Although serpents are cold-blooded (or ectothermic) and gain most of their heat from the sun, most serpents choose to rest in darkness during the hottest parts of summer. They find underground burrows, watery channels, and shady crevices to hide from the heat. During the hottest times, they even enter the same kind of dreamstate (called brumation or aestivation) they use in winter to survive the cold! 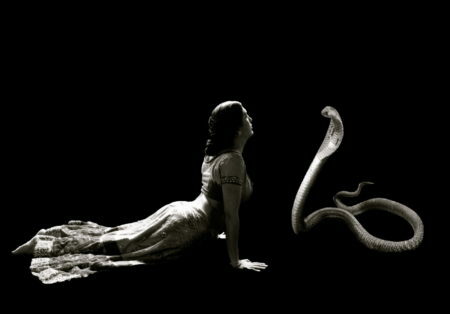 The Serpent is a master of balancing energies, and we are able to work with our own energy and power more gracefully when we listen to their cycles. Although summer’s warmth may tempt us to action more easily, it’s still wise to take time to be still and reflect. 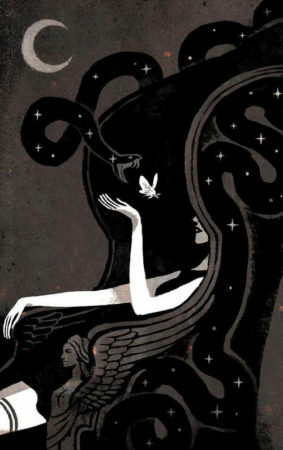 Just as serpents seek out the same dark burrows to beat the summer heat that they use in winter to stay warm, at this time we too can balance our energy by choosing to rest and reflect within ourselves. In the Sanctum, at the Summer Solstice we celebrate the Season of Shadows. At this time, we honor the wisdom of the coming darkness. We hold sacred space to reflect on the abundance that surrounds us with gratitude, and we remember the balance that sustains all life. This is part of Nature’s great dance. Just as we honor the coming of the sun at midwinter with a Festival of Light, so we must also honor the Shade that sustains us through the heat of summer. If this feels uncomfortable or challenges your ideas about the wisdom of the seasons, that’s fine. Your body knows what energy it most needs to thrive. However if you find yourself feeling scattered, confused, rushed, hurried, heated, angry, frustrated, or unclear about what direction to take during this time of so much solar energy, we invite you to make a sacred space for yourself to honor and spend loving time the Shadows. During these months, it is a good time to explore deep emotional places that rarely see the light, to ask hard questions that may feel overwhelming during darker times. The light and warmth of summer provide us with a golden opportunity. 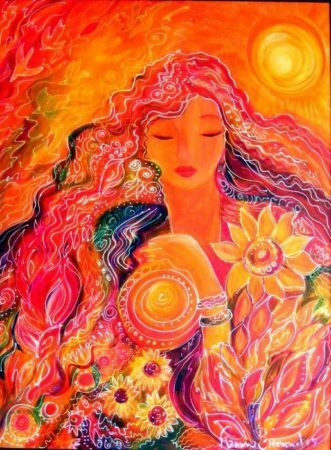 We can harness summer’s energy in healing service when we allow it to gently invite us to face the darkness within ourselves, shining loving attention onto parts of ourselves we wish to avoid or overlook. Through shaded meditation, resting in stillness, offerings to cave sites, and journaling, and honoring the water element through song, earth tending, prayer, bathing, and moonlight, we can invite these cooler energies to balance our summer activity. Savasana (called Corpse Pose) is also a good posture to use, and for those with a more advanced meditation practice, this can be a particularly potent time to explore death meditations. Try using the warmth of summer sun on your skin to lead you back to your body when the time comes. 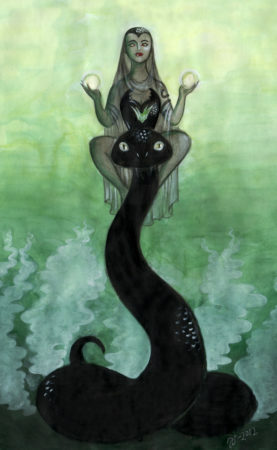 And most important, we must learn from our serpentine friends how to to seek out shade, rest, and retreat during this heated time, to be gentle with ourselves and others, and to honor the darkness as well as the light. © 2019 Serpent Sanctum. All Rights Reserved. © 2016 Serpent Sanctum. All Rights Reserved.